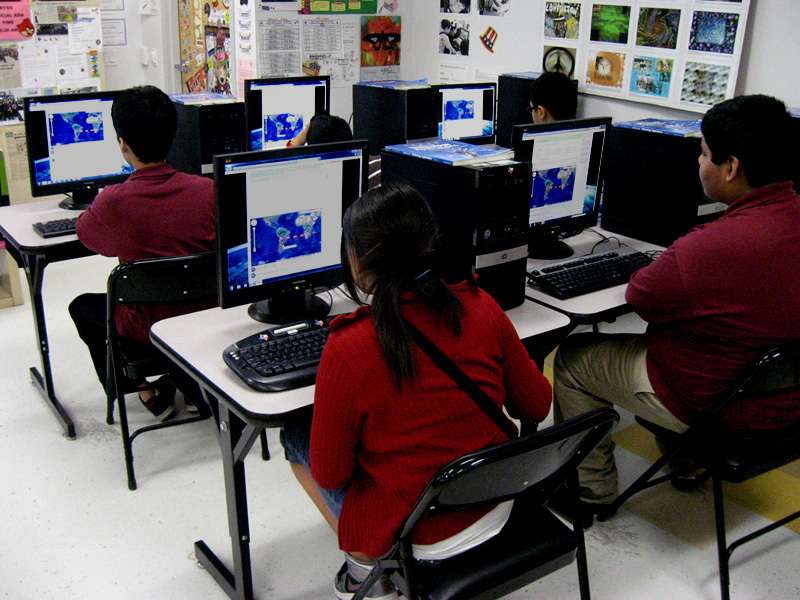 College Prep Academy students (grades 6 – 8 ) at Raul Yzaguirre School for Success (Houston, Texas) requested photographs of Earth from the NASA International Space Station via the EarthKAM (Earth Knowledge Acquired by Middle school students) mission program. They identified the locations on Earth via various orbital paths for the onboard camera to take their photographs. The project was initiated by Dr. Sally Ride (America’s first woman in space) in 1995 and called KidSat. The KidSat camera flew on three space shuttle flights (STS 76, 81 and 86) to test its feasibility. In 1998, the program was deemed successful and renamed to EarthKAM. The EarthKAM camera flew on two additional space shuttle flights (STS 89 and 99) before moving over to the International Space Station (ISS) in 2001 on Expedition 1. The EarthKAM camera has since been a permanent payload on board the ISS and supports approximately four missions annually.